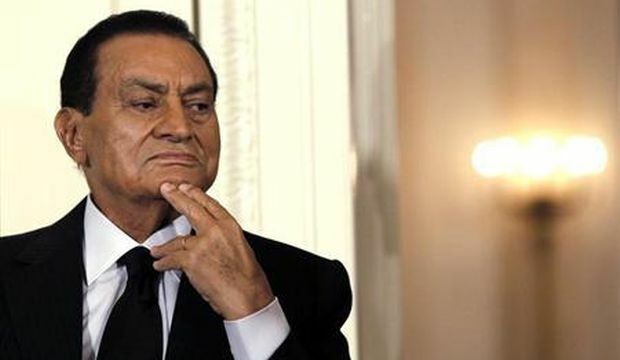 Cairo, Asharq Al-Awsat—Towards the end of his tenure, ousted Egyptian president Hosni Mubarak resisted pressures from Washington to cede Egyptian territory in the Sinai Peninsula to help create a Palestinian state, former senior members of Mubarak’s ruling party told Asharq Al-Awsat. A former official from the National Democratic Party, speaking on the condition of anonymity, told Asharq Al-Awsat that during the previous decade Washington pushed Cairo to allow large numbers of Palestinians to settle in the Sinai. The official said Mubarak believed the move was the first step in a process designed to get Egypt to cede its own territory to create a Palestinian state. Egypt’s former president resisted the appeals, which he described as being “in the best interest of Israel,” the senior official maintained. Mubarak claimed that the aim of the plan was to establish refugee camps on Egyptian territory to accommodate as many Palestinians as possible. “In a year or two, the issue of Palestinian refugee camps in Sinai will be internationalized. Meanwhile, Israel will impose pressures on the West Bank in order to force large numbers of Palestinians from Gaza into Egypt,” the source quoted Mubarak as saying. Mubarak said that once the Palestinian refugees were on Egyptian soil the UN would have requested “a new Oslo [accord]” in order to establish a Palestinian state stretching from Gaza to Sinai to which Palestinians in diaspora would have been welcome to return. The same proposal was put forward when the Muslim Brotherhood came to power in 2012, almost 18 months after the January 25 revolution that toppled Mubarak, a former security official told Asharq Al-Awsat. After former president Mohamed Mursi’s inauguration, a high-ranking Brotherhood delegation headed from an unidentified Gulf state to Washington to discuss the plan. “The delegation, which consisted of around 50 Brotherhood figures,” was invited to travel to the US by the CIA, the source maintained. According to the source, Washington suggested that Egypt cede a third of the Sinai to Gaza in a two-stage process spanning four to five years. Washington pledged to “establish and fully support a Palestinian state” covering an area of one third of the Peninsula, including the establishment of seaports and an airport, the source said. Under the terms of the deal, Washington also demanded that the Palestinian state be demilitarized, and only provided with small arms for internal security purposes. The source maintained that under the terms of the deal, relations between Israel and Egypt would have been fully normalized, and that Israelis would have been allowed to own property in Egypt. The American side urged the Brotherhood delegation to prepare Egyptian public opinion for the deal. In response, the security source maintained that the Islamist group launched unofficial calls from Brotherhood-affiliated preachers arguing that Egyptian Jews who had emigrated to Israel should be free to return. This is the second of a two-part series looking at secrets from within Egypt’s presidential palace.